For those who work on the go, every day is an adventure. Many jobs require physically traveling to different work sites throughout the day. Employees need to be prepared for anything when they leave the shop for the day. 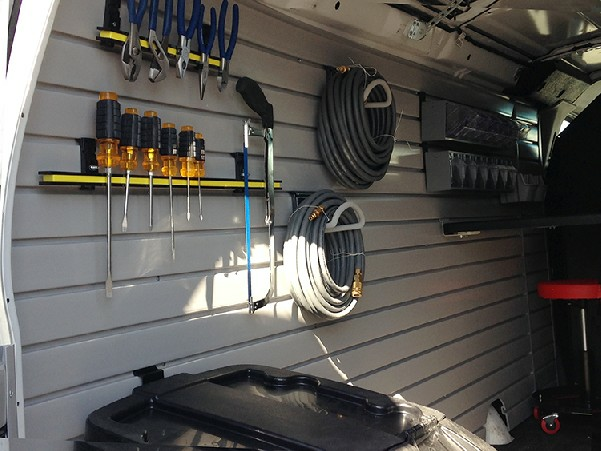 HandiWALL® is a perfect way to keep any work truck or van organized. Automotive organization is often overlooked but can be one of the most useful tools in completing jobs. Being prepared for the job gives employees the chance to be more efficient and keep their customers happy. In the article, Interactions of Top-Down and Bottom-Up Mechanisms in Human Visual Cortex, authors Stephanie McMains and Sabine Kastner explain, “Multiple stimuli present in the visual field at the same time compete for neural representation by mutually suppressing their evoked activity throughout the visual cortex...the capacity of the visual system to process information about multiple objects at any given moment in time is limited” (McMains & Kastner, 2011). Essentially, this means that too much chaos upsets the brain. The brain wants to process things in order. We need order and organization to perform at our highest level of productivity and efficiency. HandiWALL®’s plethora of accessories can aid to your client’s automotive organization. Installing HandiWALL in vehicles can replace big bulky tool boxes that limit the space given. Removing these tools boxes and storing tools on the wall gives more floor space for other things like material or machinery. Our accessories range in size and can perfectly hold small screws and nails that easily get lost to drills, tangled hoses, and cords. A personal favorite for storing small items is the tilt bin storage. This storage piece comes in four different styles: 4 bins, 5 bins, 6 bins, or 9 bins. Customers can keep their nails and screws separated and eliminate the search and injury that can result from loose screws. The small tool rack and tool grip are a sure way to make sure all of your screwdrivers and small tools are ready in place when you need them. Hammers look great on any of the variety of hooks we carry from double hooks to J hooks. While these employees spend a lot of time traveling, it’s easy to form a bond with their vehicle. 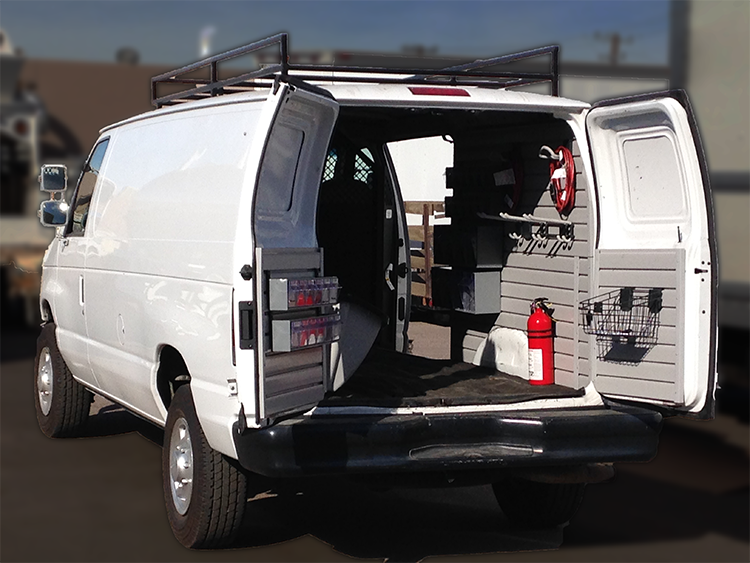 HandiWALL® is the perfect opportunity for your client to personalize their vehicle to carry everything they may need. HandiWALL® comes in a variety of sizes and colors giving clients plenty of options. 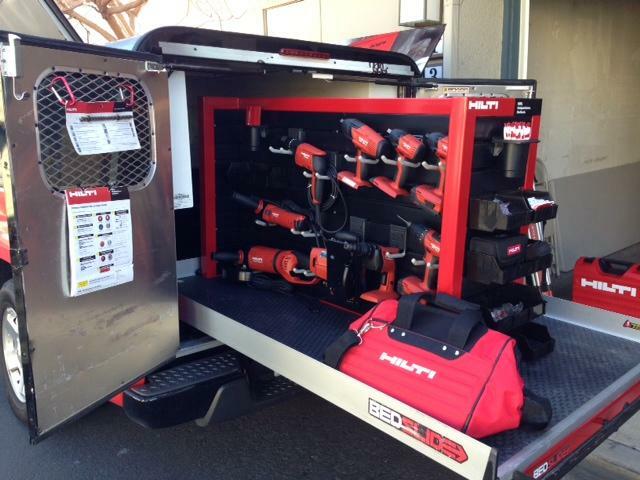 The extensive range of accessories we carry let your client design and organize their truck and tools any way that suits them. Having tools easily organized and accessible can make all the difference between finishing a job in one hour or two. Help your client keep their minds and bosses happy by using HandiWALL® to get organized and accomplished. We have given you a few ideas of uses for automotive organization using HandiWALL®. Now it’s your turn to share your ideas and installation pictures with us on our gallery submission page. We will feature you on our website, and social media pages.